The Conservative Party has a problem with declining Muslim support and its rhetoric on immigration under Theresa May has contributed towards it, a Tory former Cabinet Minister has said. Sir Eric Pickles, soon to become Yorkshire’s newest peer, said his party must ensure immigration policy is expressed in words which understand that Britain has large numbers of people from a different ethnic background, who must not be made to feel “uncomfortable”. The ex-Communities Secretary also urged the Tories to take a “zero tolerance” approach to Islamophobia, racism and homophobia within party ranks, insisting “there is no future” for those who “crack an off colour joke”. His intervention comes as new Home Secretary Sajid Javid, installed following the Windrush scandal, initiates a break with “hostile environment” immigration policy instigated by Mrs May as Home Secretary, and after Tory peer Baroness Warsi warned Islamophobia was “very widespread” in the party following a series of scandals. Sir Eric was appointed to the House of Lords by Mrs May last month and will soon take up his seat. The former Bradford Council leader told The Yorkshire Post he would be using his role to ensure the Government and Conservative Party guard against Islamophobia and anti-Semitism in Britain. He described Lady Warsi as “a friend”, adding: “I don’t dismiss what she says, but we’ve got in (party chairman) Brandon Lewis a really determined guy. 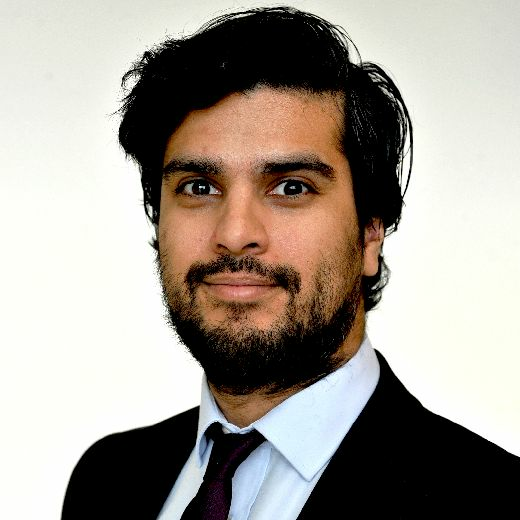 “(Anti-Islamophobia group) Tell Mama produced a whole list of (allegations concerning Tories) and he had everybody suspended by the end of the day and some people have now been expelled. “But part of the problem with the Conservative Party is it’s very devolved, so the chairman doesn’t necessarily get all the complaints that are dealt with locally and I know he’s looking at ways to make sure we’re informed about that. “It’s easier to say there’s a decline in the number of Muslims voting for us, does it matter? The answer is yes it does matter. “Because we have to reflect a wider society and the Tory Party is nothing when it’s narrow. Sir Eric said part of the problem was balancing the need for “firm but fair” immigration policy with ensuring immigrants are not demonised. While in office under David Cameron, he questioned the Home Office’s controversial “Go Home or face arrest” vans, and reportedly warned in a 2013 internal memo, on Mrs May’s hostile environment policy of asking landlords to check renters’ immigration status, that “the costs and risks considerably outweigh the benefits”. He added: “What people need to understand is - an immigration policy needs to be expressed in words and terms that understand that Britain has large numbers of people who’s ethnic background comes from a different place. The former MP for Brentwood and Ongar also called for Islamophobes, racists and homophobes to be expelled. He suggested he was unhappy with the reinstatement of a Tory former mayor, who shared a racist joke online, to give the party overall control of a council last month. Rosemary Carroll, who made a post comparing an Asian to a dog last June, rejoined as the votes were being counted, giving the Tories a majority of one on Pendle council in Lancashire. Sir Eric said: “Inside the party I’ll be looking to see people being chucked out. We had a number of problems when I was party chairman, I had a zero tolerance view. If there’s a whiff of that then people need to be suspended and need to be dealt with very quickly. “People need to understand in their minds that this is not a fashion, this is reality, that there is no place in the Conservative Party for people who are anti-Semitic or anti-Muslim. Mr Lewis on Friday said racist abuse was “utterly unacceptable” and “has no place” in the party. He promised to work with Tell Mama to give local associations advice on dealing with abuse, make diversity training available to members, and urge associations to stand against intolerance and report back to party HQ about how they have dealt with complaints.